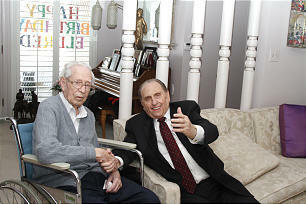 Long-time friends and General Authority associates, President Thomas S. Monson and Elder Eldred G. Smith spent an hour visiting together, reminiscing about "old times," on Jan. 9 in Elder Smith's home in Salt Lake City. The occasion was Elder Smith's 106th birthday. 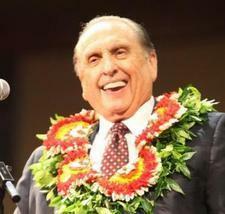 After presenting a birthday card and a gift, a box of chocolates, President Monson placed a hand on Elder Smith's shoulder and declared, "Eldred Smith is my good friend. We have traveled many miles together. I love and respect this man."